Produktinformationen "Master KOREAN 2-1 Basic with MP3 CD"
The Master Korean series is an integrated set of coursebooks designed to help the reader fully master the Korean language through various activities and practice in the four basic skills of listening, speaking, reading, and writing. After learning all the grammar and vocabulary in each level, the reader will be able to sit for the corresponding level of the Test of Proficiency in Korean (TOPIK). 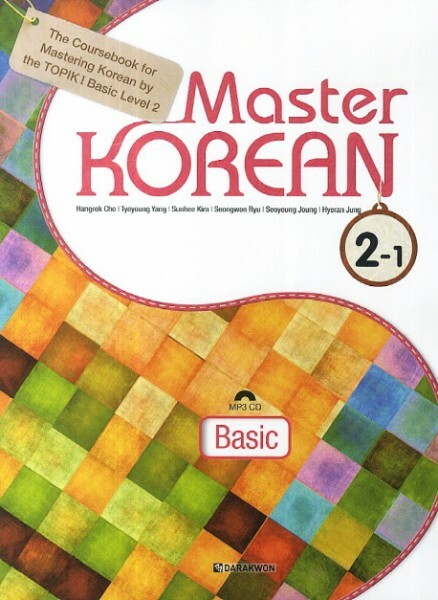 Master Korean 1-2 Basic (English) is the second book in the Master Korean coursebook series aimed at English-speaking learners studying Korean at the introductory level. Through this book learners will become familiar with the basic structure and expressions of the Korean language and improve their overall Korean language skills by practicing what they have learned through various activities, while also acquiring Korean cultural and linguistic knowledge necessary for successful communication in a variety of situations. ▪ Systematically study for appropriate level of the Test of Proficiency in Korean (TOPIK)! Together, Master Korean 1-1 and 1-2 introduces all of the vocabulary and grammar necessary to sit for Level 1 of the TOPIK. ▪ Have fun studying Korean using task-based teaching principles! The series includes a variety of study tasks based on the authors’ many years of Korean teaching experience along with empirical data to create a text that is both easy to study and interesting. ▪ Enjoy rich visual and audio materials! Each chapter is full of colorful illustrations and pictures, along with auditory materials created with professional voice actors to improve memorization and overall learning, regardless of whether you are studying by yourself or as a student in a language institution. ▪ Get valuable Korean cultural information necessary for communication from a learner’s perspective! Includes detailed English explanations for many aspects of the Korean culture and language that learners are curious about. Weiterführende Links zu "Master KOREAN 2-1 Basic with MP3 CD"
Unser Kommentar zu "Master KOREAN 2-1 Basic with MP3 CD"
Kundenbewertungen für "Master KOREAN 2-1 Basic with MP3 CD"